Grain prices put in a late burst in Chicago, taking gains above 3%, amid growing doubts over the official data which showed the US corn crop failing to deteriorate last week despite further heat. Corn for December, the most-traded contract, soared 3.7% to $7.11 ½ a bushel in late deals in Chicago, where wheat for September was up 3.8% at $7.02 ¼ a bushel. The rises, which came too late to lift European grain prices, reflected concerns over a US Department of Agriculture estimate overnight showing that the overall condition of the American corn crop remained 62% in "good" or "excellent" health despite further hot weather last week. 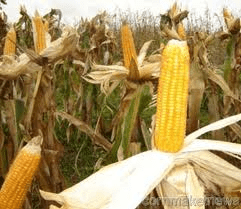 Indeed, the breakdown of the data showed the condition of crops deteriorating in five of the top six corn-producing state, in some cases by more than five points in terms of crops rated good or excellent. "People are wondering how on earth to make sense of this," Jerry Gidel, at North America Risk Management Services said. "And you can’t say there was not some impact from last week’s weather." Temperatures in Iowa last week were 6.3 degrees Fahrenheit above normal, with Illinois temperatures 5.4 degrees above normal, Iowa-based US Commodities said. 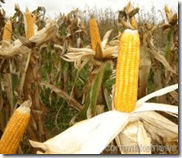 And at rival broker Country Futures, Darrell Holaday said: "Field tours are out looking at corn and e-mails are floating around with pictures of corn tipped back in parts of Illinois, Indian and eastern Iowa." The price jump was seen as further fuelled by the prospect of data due from broker FCStone after the close of trading which is widely expected to come in with a reduced estimate for US corn output. The stasis in the headline US corn condition number reflects two quirks in USDA methodology, a person familiar with the department’s thinking told Agrimoney.com. The first is that it relies on acreage breakdowns from last year. While this year has seen extra sowings in western Corn Belt states, such as Iowa, Nebraska and South Dakota, where crop condition faltered last week, they may be underweighted in the headline figure. The second is down to rounding errors as state-by-state data are compiled. However, even making an allowance for these factors, the extent of Tuesday’s rise surprised some investors. "Even if corn condition had declined one or even two points, if that rounding error had worked the other way, that hardly looks to justify the rise in prices we are having," a US-based broker said.